You can get a cool third person view of your DJI Mavic Pro when you use a new mount by Jean-Marie Cannie and a 360 camera. I also have discount codes for the new DJI Mavic Pro Platinum, which has a longer range and 60% quieter propellers. 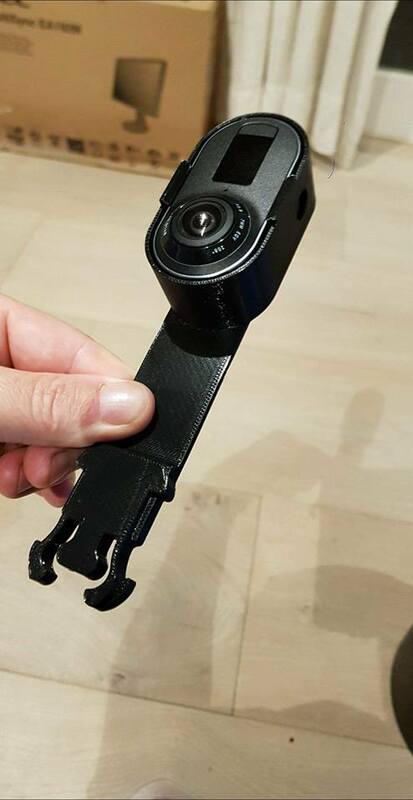 Jean-Marie calls the new mount an ‘invisible selfie stick for the DJI Mavic Pro.” It attaches to the Karamba mount for the DJI Mavic Pro and can be in front of the Mavic Pro or behind it. The mount is compatible with most small 360 cameras such as the Gear 360 2016 and 2017, Insta360 ONE, or Ricoh Theta. In addition to the generic design that works with any 360 camera with a 1/4-20 tripod hole, Jean-Marie has made bespoke versions for the Insta360 ONE and for Rylo. Speaking of which, Rylo is an excellent 360 camera for this purpose thanks to its best-in-class image stabilization (see my detailed review). Here is a sample video with the Rylo and the mount. – DJI Mavic Pro Platinum (a new longer-range and more quiet version of the Mavic) is on sale on Gearbest for $939 using the code HKPlatinum (10 units left at this price). It’s also available on Amazon for around $1024. 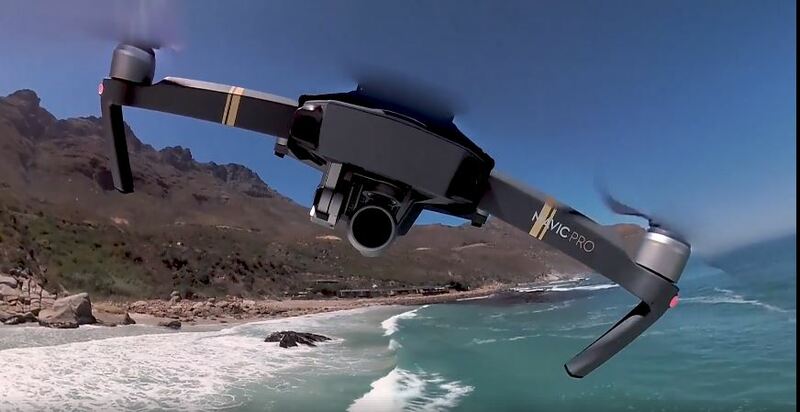 – Alternatively, you can get the Mavic Pro combo (the original gray one) for $1025 on Gearbest with the code HKDJIMC. You can also get it at Amazon for around $1087. – If you already have a Mavic, you can just get the Platinum propellers (4 pcs) for under $5 (note: I’m not sure if it’s the original or a clone — it might be a clone although user reviews say it works well). Amazon has the original propellers for around $27. Hi Mic, Thank you ever so much for this great tip! I ordered the mount straight away as I believe this new perspective will add more excitement to any aerial footage. There is just one thing I struggle with: Could you please explain (preferably in a video – I am sure others have the same isse) how to convert the 360 video footage into the “flat” video shown in the sample footage? I’d appreciate this so much! Thank you and best regards.